The Ultimate Fighting Championship is in talks with WA Government to return to Perth, ABC News reported Thursday. Both parties are eager to hold another event on the west coast, following the promotion’s debut held last February. 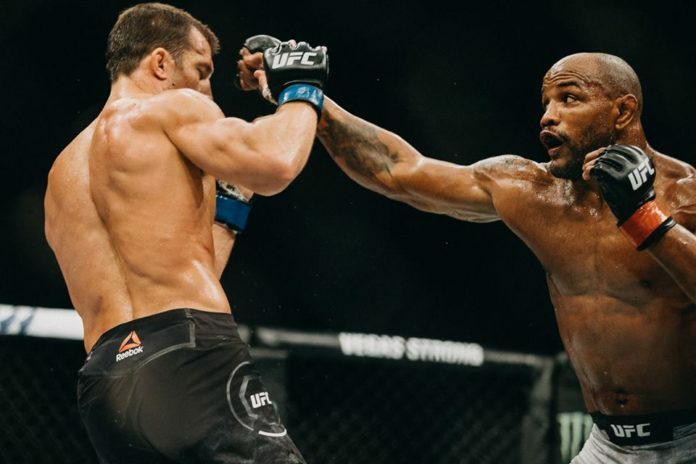 UFC 221 took place at sold out Perth Arena, featuring a series of bouts with the middleweight battle between Luke Rockhold and Yoel Romero serving as the headliner on PPV. The fight card also included Mark Hunt, Israel Adesanya, Jake Matthews, among others, gaining attention of more than 4.5 million people globally. Moreover, it “was the biggest gross return to the [Perth] Arena in its history” with 30% of tickets purchased by patrons visiting WA. UFC “absolutely welcome the opportunity to return to Perth on a regular basis,” said UFC senior vice-president international and content David Shaw. The goal is “to construct a meaningful and sustainable schedule of events”. The next event scheduled Down Under is UFC 234 held in Melbourne on February 10. Top of the bill features the defending middleweight champion Robert Whittaker up against Kelvin Gastelum. The full fight card can be found here.